Recently I found a 46-year old letter in the shoe box which dispelled a lifetime of very unflattering impressions of my insufferable Uncle Fern. The origin of his unusual name is unknown. Proving that truth is always better than fiction, Fern’s loyal wife was named Fred (short for Frederica). Fern was a small town fire-and-brimstone preacher who served several South Texas congregations throughout his life. A mandatory visit to his church was non-debatable when my family traveled to his region of the state. The misery of attending Uncle Fern’s church always began with my parent’s extra scrutiny of my wardrobe and hygiene. 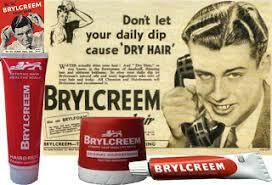 Shoes were polished to perfection, the top button of my best shirt was uncomfortably fastened to accommodate my clip-on tie, and of course every hair was held in place by that oil slick of a hair product known as Brylcreem. An Uncle Fern service was steeped in tradition, and following some old standard hymns, and the passing of the collection plate, he got down to serious business. With a voice so powerful he could be heard in the next county, he began his Sunday rants about the evils of Satan’s infiltration into our daily lives. The uncompromising gospel according to Fern gave me plenty of ammunition to dub him as a narrow-minded jerk. 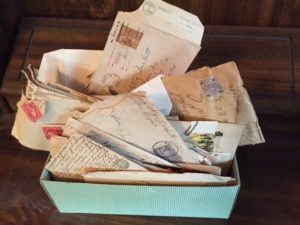 Until I uncovered some shoebox letters which showed ole Fern had a compassionate, and even progressive, side to him. Several letters written in 1972 hinted a calamity was brewing in the Central Texas town of Marlin over the subject of evolution being taught to the sophomore class which included Fern’s granddaughter, Francis. In one letter, Frankie sought guidance from her father about what argument she should make to the school board when demanding her daughter’s excused absence from this class. Who would ever have thought the study of science would have softened the heart of fire-and-brimstone Fern, while strengthening his already strong faith. He wouldn’t dare preach on this controversial subject in his day; however, I know he would be so pleased that today many progressive churches are approaching the same subject and coming up with the same conclusions he hit on decades ago: Science and faith can exist in perfect harmony. 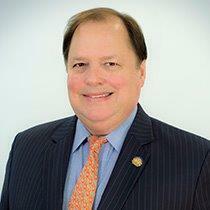 Mark Lehman is the Vice President of Governmental Affairs for the Texas Association of REALTORS®. In this position, he is responsible for coordinating all legislative and political activities related to the Texas Real Estate Political Action Committee (TREPAC) and the 100,000 plus member association. Lehman’s primary focus is centered on legislation that directly affects the real estate industry and the rights of private-property owners in Texas.Prior to joining the Texas Association of Realtors, Lehman served as campaign director for U.S. Sen. John Cornyn’s successful campaign for Texas attorney general. He has served as chief of staff for a Texas State Senator and worked for 3 U.S. Congressmen in Washington, D.C. He is a veteran of more than a dozen political campaigns and has been featured in the New York Times, Washington Post, Austin American Statesmenand the Dallas Morning News.